A.J. 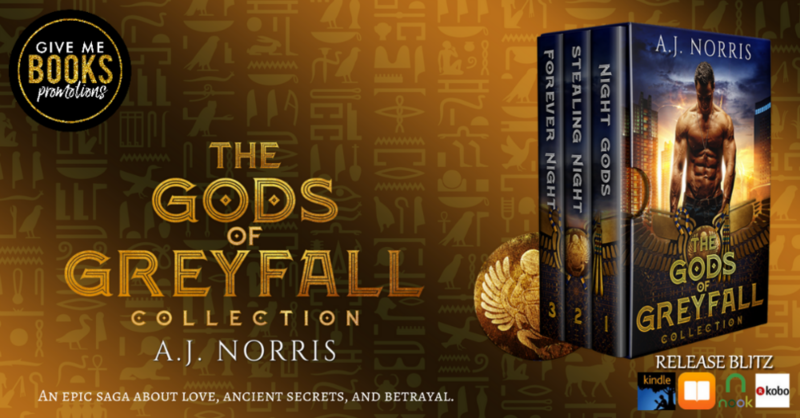 Norris Releases The Gods of Greyfall Collection! How do you accidentally start a war with a blood thirsty demon army? You kill their leader and steal a sacred relic. Demons prowl the night searching for human blood. Only one thing can save humans from extinction, a lab-bred task force known as the Bator Patrol Guard. Part human, demon, and descendant of the Egyptian deity, Osiris, these elite warriors, although shunned by humans, willingly protect the human race. Kalani only wanted to rescue her friend from a torturous death when she entered the forbidden realm of a demon army. She didn’t mean to start a war by slaying their leader and stealing the sacred pendant hanging around his neck. But it was just so shiny and why did they have it anyway? The pendant had the same symbol on it as the Bator Patrol Guard used as their emblem. How was this possible, and what did it mean? Can the Patrol Guard unlock the mystery of the pendant before a war destroys them all? Find out the truth in this epic saga about love, ancient secrets, and betrayal. One of the best parts about participating in author signing events is meeting other authors and great people like A.J. Norris, who I had the pleasure to meet at the 2018 Books in Bourbon Country Author Signing Event in Louisville, Kentucky. Here's to the success of our new releases! A.J. 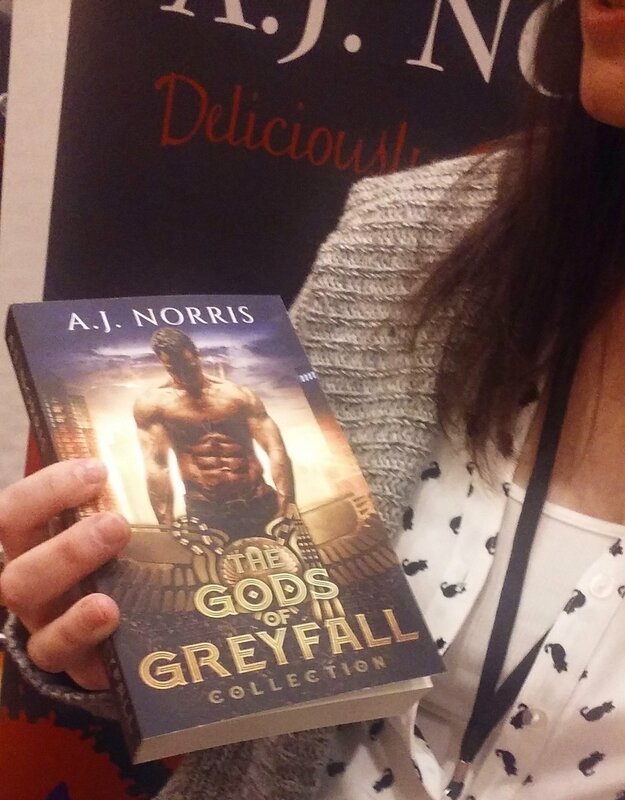 Norris is a romantic suspense and dark paranormal romance author. She enjoys being able to get inside someone else's head, even a fictional one, and see what they see. Watching how her characters deal with difficult situations or squirm with the uncomfortable ones makes the hard work of writing all worth it. However, writing and reading weren’t always in her foremost thoughts. In fact, her love affair with writing came as a shock to everyone she knows, including herself. At a young age, she rarely opened a book, unless forced to read something for school. But that’s all behind her now. She wrote her first book several years ago, which turned out to be a surprisingly cathartic process, and she hasn’t been able to stop writing since. A.J. loves going to the movies, watching her son play baseball, and communing with other writers. She’s a member of two writer’s groups and RWA. She lives in southeastern Michigan with her family, who are extremely tolerant (at least most of the time) of all her late nights behind the computer.